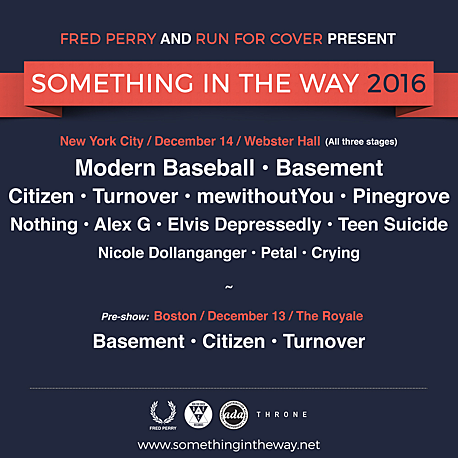 Run for Cover’s ‘Something in the Way’ fest happens at Webster Hall on Wednesday (12/14) across the venue’s three stages, with Modern Baseball, Turnover, Basement, Pinegrove, Nothing, mewithoutyou and more. They’ve just announced set times for the fest which you can check out below. Tickets are still available but we’re also giving a pair away.